My BOMM is a month since pitch. It has been at 0.096 for over a week. I put it on a slow stirplate yesterday until bubbles stopped surfacing. On the stir today (or off, for that matter), no bubbles are surfacing in the carboy, but it's pushing gas thru the airlock at what seems to be a pretty constant rate. Yes, I know: Airlock activity does not necessarily indicate active fermentation. So, if the yeast isn't making CO2, where is the gas coming from? And does stable gravity alone indicate "finished", despite the gas production? CO2 dissolves into solution and slowly outgases over time. 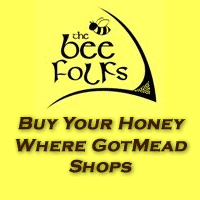 If never stirred, a mead can outgas for years after fermentation is done. You final gravity is impossible. Do you mean 0.960? You can raise the temperature a few degrees - colder liquid can hold more gas than warmer; you can pull a vacuum through the liquid - I think you need to be able to pull about 22 inches and that should draw out most or all the CO2. Stirring can also remove gas - I think that works by introducing more energy into the system and that makes the molecules "vibrate" as if you were raising the temperature. But you don't want to stir so vigorously that you pull in air. The fourth method I know is to add points of "nucleation" so adding any stable material (silicone?) where the surface is very rough will form points where the gas will gather. When enough molecules of the gas gather they will have enough energy to leave the solution - but you need to be careful because the gas may have enough energy to push the column of liquid above it as it is expelled from the vessel and that may mean the liquid can paint your ceiling (think Menthos and Coke volcanoes). Your final gravity is impossible. Do you mean 0.960? Yeah, fat fingered the number. I'll put the vacuum pump on it tomorrow and see if I get any visible activity. That’s completely bone dry. It is definitely done. How does it taste? That's one of my problems; I don't have the vocabulary to describe it. I had the same experience when I first tasted a bone dry mead. Tastes weird, maybe even a bit "off", but that's a bone dry mead for you. So, I hooked up the vacuum pump yesterday, and got what I would consider a fair amount of gas out (no, didn't have a gauge on it). After 30-min or so bubbles were down to tiny and few, so I capped It and stuck it in the cooler at 35-F. Tonight, no visible bubbles under vacuum. Wouldn't say it's clearing. Racked it (very little lees back in the cooler. A couple hours with somebody who can can say 'taste this - normal, run of the mill traditional; this one's off because... you can make it better by...' etc. would really help. Even if you don't like bone dry meads. It would taste fine but not to your liking. Fine meaning that there wouldn't be any defects per se. I wouldn't say they taste a little "off" as much as I wouldn't say dry wines taste a little off. Now that I think of it I'm amazed so many people dislike dry meads especially given that dry wines are so prevalent. Actually I dislike dry wines a bit more than dry meads because sometimes they're too acidic (I don't like many chardonnays) or too tannic (some nero d'avolas) but in meads I can control exactly the acidity and tannins. It's a matter of taste. I can't stand a dry white. Dry mead isn't too nice for me but I do love myself a proper ox-blood dry red. Flavours... 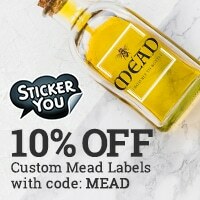 I think a bone dry mead can be more described as "odd", instead of "off". No signs of fermentation, should I worry?